This is reflected not only in our core values but also in the care we offer to all of our clients no matter how large or small, new or old. We always strive to go above and beyond what is expected and we’re so committed to excellence that we select a number of clients each week and ask directly for feedback. At Planteria, we measure our performance using a simple, non-biased survey to measure customer satisfaction and also understand whether our clients like us enough to recommend us to others. This is pretty powerful stuff. Our customer satisfaction is measured with something called Net Promoter Score®, or NPS® for short. NPS measures customer experience and also reveals how likely our clients are to suggest our services to others. This proven metric provides the core measurement for customer experience and the surveys are not only straightforward, they are also easy to understand and complete without taking too much time from our clients. In other words, the question asks what is the likelihood of promotion? As such, the question not only gives an indication of customer satisfaction with the brand, but also the level of customer loyalty. Respondents answer by choosing a number from 0-10, with 10 being the most likely to recommend. Depending on the score our customers give, they are then classified as promoters (score 9-10), passives (score 7-8) and detractors (score 0-6). 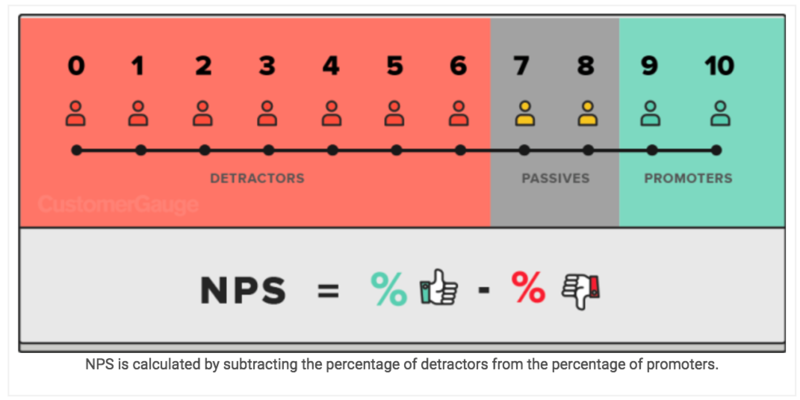 NPS score can range from -100—if all customers are Detractors—to 100—if all customers are Promoters. · Ease of use - NPS practitioners can conduct the survey via various channels - phone, SMS, or Web. · Quick follow-up - NPS practitioners can quickly share the customer feedback with frontline employees or managers, who can follow up with detractors and address their concerns. LEGO®, for example, address low NPS feedback in as little as 24 minutes. At Planteria Group, our current NPS Score is 65 and we are proud to be in the top percentage of companies with strong customer loyalty. (Update: as of September 2017 our latest NPS score was an impressive 91). Although our NPS scores are incredibly valuable, perhaps the most valuable aspect of the NPS surveys is the written feedback we receive from our clients. It’s hugely beneficial and rewarding to see the positive feedback and if ever there is a problem or a comment that strikes us as needing attention we can quickly respond. Planteria Group are committed to excellence. Anything less is not an option. We believe a job is only worth doing if it’s done properly. We employ rigorous training and procedures to ensure everyone at Planteria is an expert in their field. This culture of excellence ensures our clients are consistently satisfied. In addition to our commitment to excellence, we are also relentless to improve. We love to challenge the status quo and constantly push the boundaries of industry standards. We explore and innovate to discover new concepts, and diligently fight the resistance to change. This forward-looking, enthusiastic approach keeps us ahead of the game.